This is part 3 of a 5 part webinar series "Deploy Innovative Apps to Extend SAP SuccessFactors solutions with SAP HANA Cloud Platform". Businesses today are rapidly adopting SAP SuccessFactors to transform their corporate human resources functions. While many have begun this transformational journey, others are formulating their first steps. 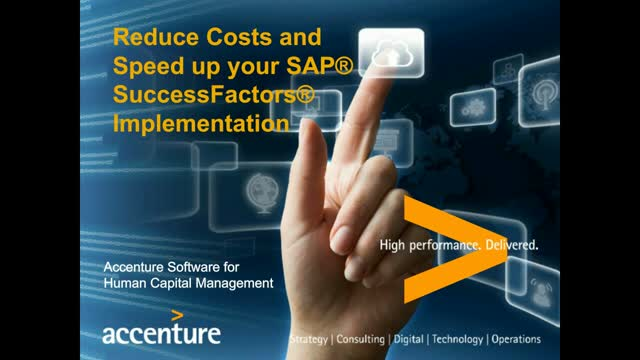 Achieving this transformation journey at a lower cost, greater speed and higher quality is paramount on the journey to SAP SuccessFactors.